I worked with Professor Robert Derr of Ohio State University to curate this exhibition of videos featuring the artist in front of and behind the camera. 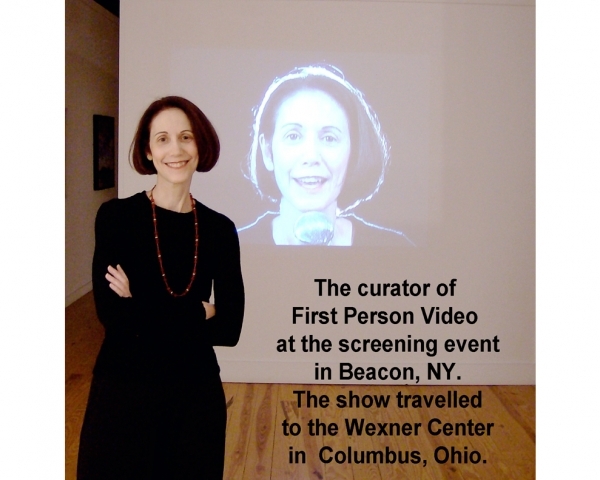 The selected videos were screened at a gallery in Beacon, NY and at the Wexner Center for the Arts in Columbus, Ohio. A rich diversity of styles, mood, and message were found in these long and short, silent and narrated examples of video art. I think that I was attracted to this form of expression, because the simplicity of the set up — one person, one camera — did not stop any of these artists from creating a work of art with many layers of meaning.